Four Dodge and Chrysler vehicles gained recognition for 'Best Quality 2013' by the annual Strategic Vision's Total Quality Award. Dodge Dart, Dodge Durango, Chrysler Town & Country and Chrysler 200 Convertible has been ranked in the top of its segment based on responses from 17,568 owners of 2013 vehicles of each model mentioned; the quantitative study was conducted by "Strategic Vision". Strategic Vision measures the "total quality" studying over 440 variables that include positive and negative experiences including reliability, driving experience, emotional attachment, overall sales and service satisfaction. 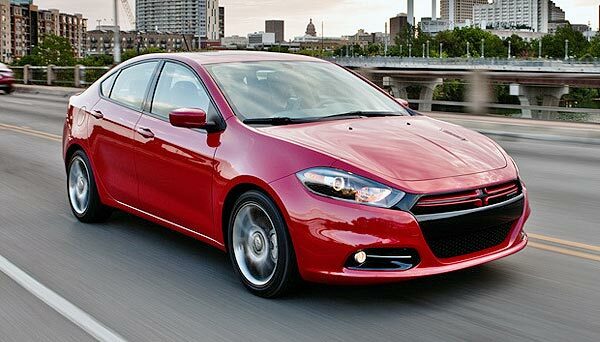 The 2013 Dodge Dart was one of the winner vehicles. "In the competitive market nowadays, customers expect and deserve a reliable vehicle" said Doug Betts, Senior Vice President of Quality for Chrysler Group LLC. "This particular study recognizes that exceeding in terms of quality is important in addition to providing a vehicle well designed. Making exciting and a complete satisfaction for customers the new car purchase process, is one of the main goals of automakers. At the same time, this recognition shows us that customers appreciate the Dodge Dart innovations as well as improvements we are making in our product line". "The Dodge Dart leads the small car segment, is remarkable when you consider how much attention, design and so competitive engineering exists in this segment," said Vice President of Strategic Vision, Christopher Chaney. "The results of the Dodge Dart in this test tell us that customers respond when you mix versatility, an inspirational style on the outside and a huge variety of high quality components and concepts", said Chaney. If you want to see the entire list of the 2013 Total Quality Award winners, please follow the link. Even so, I don't trust in anything coming from Dodge or Chrysler, I already had a terrible experience with a Pacifica and my sister owned a Dodge Caravan which didn't reach 100k miles.